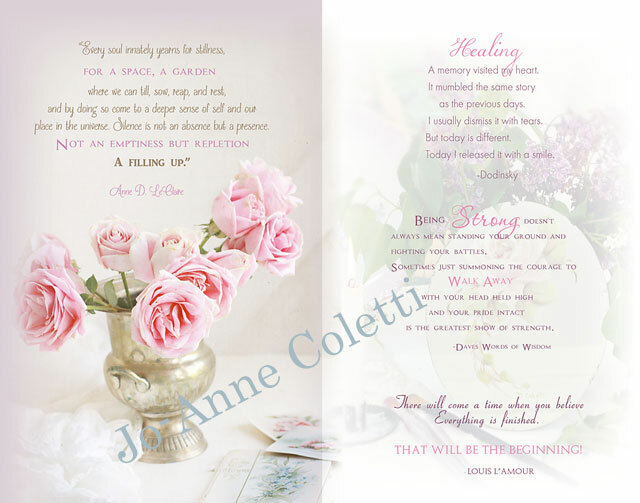 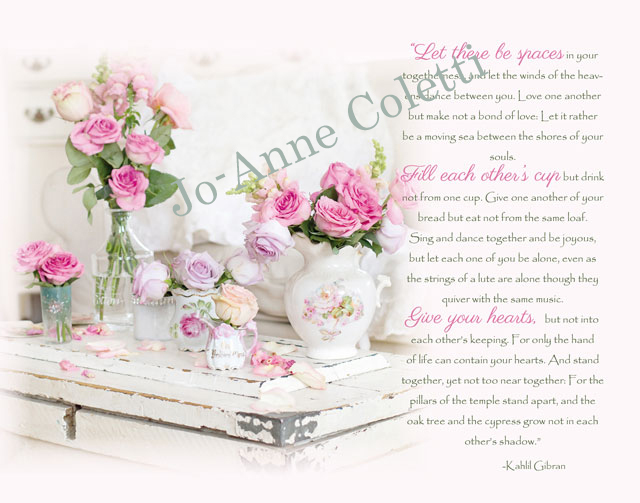 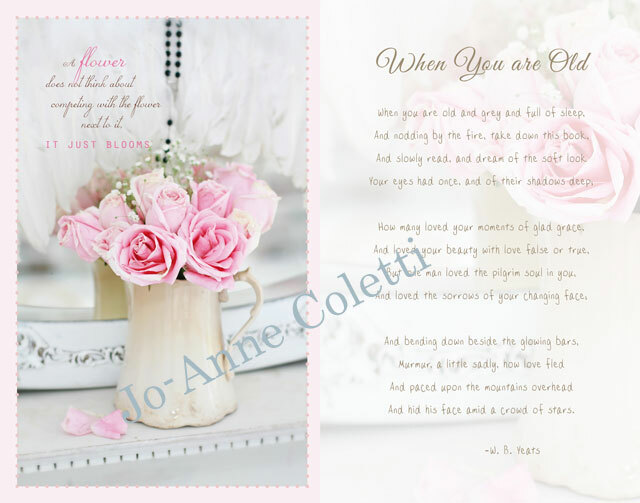 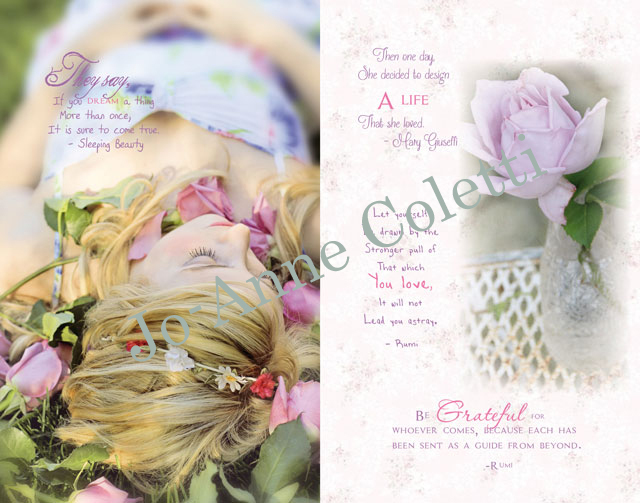 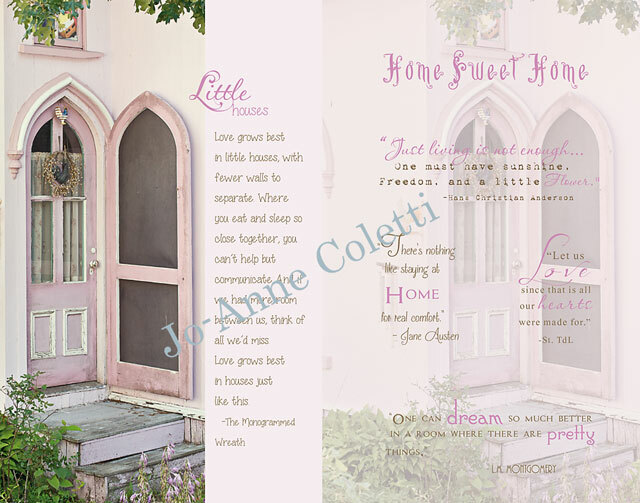 “The Quiet Hour” Gift Book is a 40 page colorful soft cover booklet with sumptuous photography drawn by Jo-Anne Coletti's collection of romantic roses, flowers and other pretty things, along with romantic poems, encouraging devotionals, and lovely thoughts. 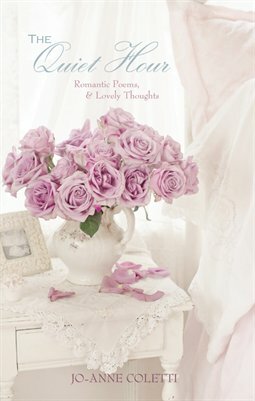 Remnant of the vintage gift books of the past where maidens would ponder the day away reading poetry and dreaming over lovely imagery. 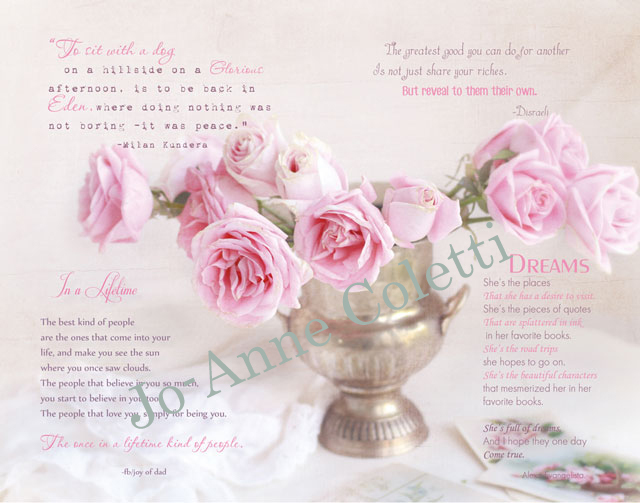 A perfect companion to rest on your nightstand to calm and lull you to sleep.